A few things I was reminded of tonight. 1) I absolutely love crisp fall nights when it isn’t quite cold enough to pull on a sweatshirt. 2) Boulevard isn’t really a boulevard. It’s a dead end. It doesn’t matter if I’m turning on to it from the left or the right. It is still a dead end. 3) If I’m running aimlessly and happen to see a really cool looking hill I am goin to run up it. Again… And again… Doesn’t matter how many times I already have. I have no self control. 4) Starting from Schubert and Matthews there are five hundred ways to make one or two random turns and end up back at Schubert and Matthews. 5) Even though I’ve spent over six years living in this neighborhood it is still possible to get all turned around without ever getting further than two miles from home. The truth behind this old update was a time when I was just out for an evening stroll and didn’t truly care all that much where I was going. At all times, I knew I was inside the geographical box made up of the streets Beethoven, Grand, West End, and Riverside. But where was I inside that box? Quite often I had no clue. Part of the problem is that it was dark out. I’m normally navigating through that tangled warren only in the daytime. Part of the problem was that I had no real goal or destination in mind. I was just out for a stroll and was headed wherever my feet would take me. The same thing is true in how we live for Jesus. Yes, we have made an intellectual assent to His Lordship. We have verbally acknowledged Him as our Savior, but His light doesn’t illuminate our daily walk. Sure we go to church, but we aren’t called and commanded to “go to church” we are called to be the church wherever we go. Christianity is something we claim but it isn’t who we are. In reality we are simply wandering through life completely turned around even though home is oh so close. God forgive us. God, illuminate my life. God, guide my steps. I don’t want to just say that I trust You, help me to put that trust to the test day in and day out. I don’t want to just say I see You. I want to really see Your leading in my life every day as I follow You with every heartbeat, not just for a few hours some Sundays. Guide me out of the dark. 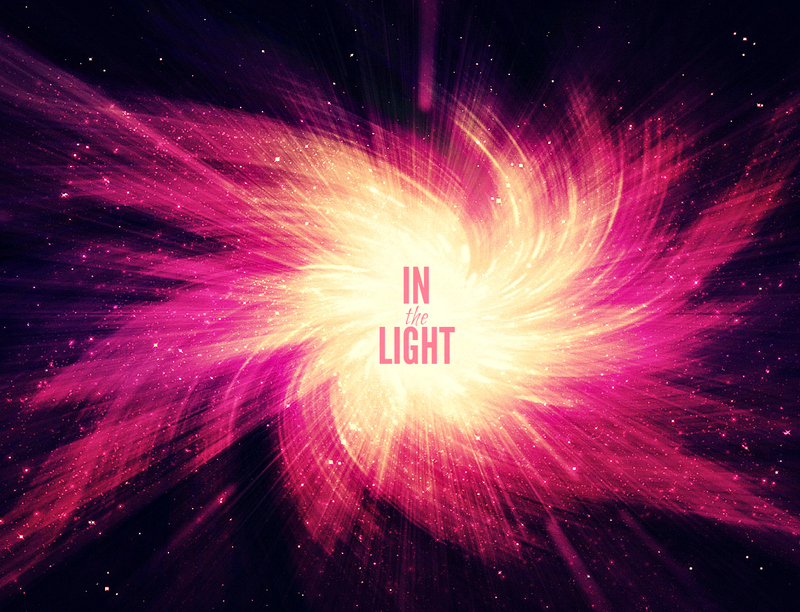 Let Your light, that shines in the dark places, shine through me. LOVE this song – thank you for posting! It doesn’t seem to matter how long I’ve walked with my Lord—I sometimes fall into this wandering trap. I do what I don’t want to do, and the good I know I should do, I don’t. Sigh. The older I get the more I long for the day we will be with Him, off of this fallen whirly-gig world. This is a beautiful post, BJ. A lovely reminder to walk by His light, not just settle for an anemic ‘faith’. Blessings to you. Great reminder, sometimes it’s easy to forget in our day to day stuff. Isn’t it encouraging when we can just sit in His presence? Love your blog! Thank you for this. We have conditioned ourselves I think unknowingly that church is the church. Not really-we are the church. It is within us, it is us, and it is all of us together. Our congregating is just that, while it is beneficial, it is just us congregating. The true religion can only be one, just like science. We don’t have a Mohammedan physics, a Hindu physics, a Christian physics. But that’s what the religions have done,have been doing – they are only making the whole Earth a madhouse. Religion should be that which can show way to inner side of our being but see we are taught about other things only. The most fundamental error of all the religions is that none of them were courageous enough to accept that there are things which they really don’t know. They all pretended to know everything, they all pretended to know all, and have been teaching us all rubbish…..It is not about what you Souls say only of Christianity it is same with all,I myself am Hindu and the so called pundits have made religion their big business….they only teach that we need to fear God but in reality to grow and move into inner self we need to love God,we need to know HE and us are not separate,we are his part only. Today we can see many are only formally paying respect to Christianity, Judaism, Hinduism, Mohammedanism, but basically anybody who has any intelligence is no longer interested in all that rubbish. We may go to the synagogue and to the church and to the mosque for other reasons, but those reasons are not religious, those reasons are social.,because we don’t want to hurt the society…..but it is time that we really understand the truth and try to be one so that we can go against the people who believe they are the only messengers of God,as they teach us the false religion in reality. This is true, but there is a good physics and a bad physics. I read things all the time where people who are basically ignorant try to act as though they know what they are talking about when applying the principles of physics to their pet theories. Other religions are basically like bad physics. They might have the appearance of truth that fools those who do not know better but anyone who understands reality will not be swayed. Your arrogance and ignorance in even making this statement is not worth any further comment. Respected Soul named BJ… First I guess You took the whole thing wrong…. I never was saying anything against you nor any religion… I respect all religions as I respect every human and everything and everyone from the Nature…..
You say bad and good physics…. Point is who created good and bad….. We people did and all I said is we need to look into our whole educational system and the old scriptures which the priests and honorable people of Temple, Church, Mosque…. Go on repeating… They are also written by human who showed they knew more. I am innocent but I am not arrogant, how can I be…. The Lord created himself in me and when he is not how I can be bad or arrogant. I am sorry but as you already know so much of almost everything how on Earth could you feel offended…. Not a quality, a person of knowledge has……. I can say sorry but I will not because You didn’t see things clearly or really didn’t understand my words….. Your Words bear a massive weight and burden behind it.